Are you concerned that you may have holes or cavities in your teeth? Do you experience pain when brushing certain teeth or sensitivity when consuming hot or cold foods? You may have tooth decay that requires a dental filling. 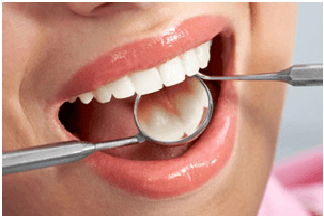 Dental fillings help to restore your teeth and relieve the pain associated with cavities. Having been used for centuries as a solution for replacing tooth structure lost to decay, dental fillings are one of the most commonly performed dental treatments across the world. Dental fillings help to restore cavities and bring a damaged tooth back to its usual function and shape. These fillings plug the holes in our teeth caused by decay and wear, ensuring teeth are healthy and can continue functioning without further decay or becoming a bigger issue. What are the Different Dental Filling Types? There are several different types of dental fillings and your Smile approved dentist will discuss which is best for you depending on the location of the restoration in your mouth, the extent of the repair, whether you have any allergies, and your budget. Composite fillings are made up of acrylic resin and finely ground, glasslike particles. This produces the most natural appearance for your restoration. Composite fillings provide durability and resistance to fracture in small to mid-sized restorations that withstand moderate chewing pressure. These fillings don’t last as long as other types as they are more prone to wearing over time. 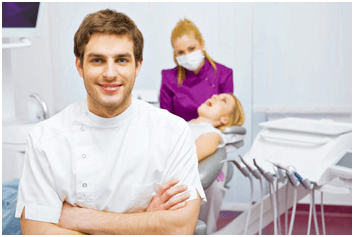 Glass ionomer fillings are tooth-coloured and easily bond with tooth tissue. They slowly release a fluoride over time to help prevent decay under and around the filling. These look natural, as they can easily be made to suit your tooth colour, but they are not recommended for loadbearing teeth as they can wear easily. Gold fillings are custom made in a laboratory before being cemented into place. They work well with gum tissues and can last more than 20 years if taken care of. Gold is considered the best filling material, but it is often the most expensive option. Porcelain fillings have a similar cost to gold and are also produced in a lab before being bonded to the tooth. They are a popular choice due to their ability to be matched to the colour of the natural tooth and their stain resistance. A tooth filling procedure is fast and simple, it can be summed up in five steps. You will be given local anaesthesia to numb the area around the tooth so you don’t feel a thing. The dentist will use a drill to remove any decay and then shape the tooth for the filling. The dentist will etch the tooth with an acid gel prior to placing the filling. Depending on your type of filling, the dentist may layer on the resin and harden it using a bright light. Once the filling has been placed, your dentist will polish the tooth. Then you simply enjoy your new, strong, restored tooth. Each filling takes approximately 15 minutes from beginning to completion, depending on how long it takes for your anaesthesia to take effect. Participating Smile approved dentists offer an affordable solution for dental fillings, as Smile patients save a minimum 15% off all dental treatments in comparison to regular patients. How Long are Tooth Fillings Supposed to Last? The life of your filling is dependent on the material used, the restoration location in your mouth and how well it is looked after. Composite, glass ionomer and porcelain fillings are expected to last up to 5 years, amalgam fillings can last up to 15 years, and gold fillings can last over 20 years. How Long Should a Tooth Hurt After a Filling? Sensitivity in your restored tooth is expected for approximately a week or two. Your dentist may prescribe you some painkillers and antibiotics to avoid infection. Otherwise, over-the-counter painkillers can help to manage the pain. Ongoing pain after two weeks is rare and it is recommended that you seek advice from your dentist should this occur. Practising good oral hygiene, such as brushing twice a day, can prevent the need for fillings.